Note: ‘ Honest Opinion Check’ is my regular column where I compile everything that you come across the Internet about a particular smartphone (here – Nokia 8.1) and my honest unbiased opinion to help you make a purchase decision in no time. You don’t have to spend hours to research, we did the work for you. Nokia smartphones are gaining traction. No, it’s not just because of the hardware it offers but also for the software it offers (comes loaded with stock Android OS while being a part of the Android One program). In case you’re wondering, the Android One devices normally get 2 years of guaranteed Android updates and 3 years of security patches. Do note that being an Android One device does not necessarily mean that you will get updates on time – so it depends on the manufacturer. However, Nokia is consistently providing the latest and greatest Android updates when compared to other device manufacturers. Of course, that excludes the Google Pixel series. 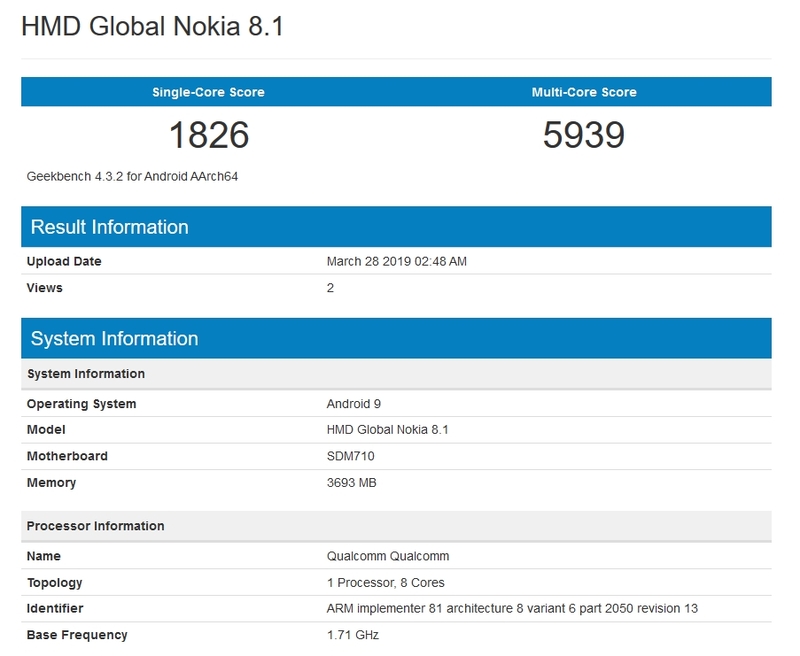 In this article, we will take a look at what Nokia 8.1 with 6 GB RAM + 128 GB Internal storage has to offer and should you get it? My Opinion on Nokia 8.1: Pass or Fail? The spec sheet on paper looks impressive, but is it good enough? Yes, with the Nokia 8.1, they’ve really done a good job. Software optimization and performance is really good. You won’t notice any stutters while you play PUBG or any other graphics-intensive games on your smartphone. However, with all the good things – there’s still something that you need to keep in mind because Nokia 8.1 isn’t for everyone. The Qualcomm Snapdragon 710 is one of the best mid-range processors out there. However, we need to consider the price point of the device considering what it offers. Honestly, for 30,000 Indian rupees, Nokia 8.1 could have offered a better chipset. In either case, could have launched the device for approximately 25,000 INR – that would have been a steal deal. Don’t get me wrong, Snapdragon 710 isn’t bad – it is one of the latest and greatest Qualcomm chipsets for mid-range smartphones. However, with competitors like Poco F1 offering Snapdragon 845 for just 20,000 INR, the pricing for Nokia 8.1 is definitely on the higher side. You May Also Like – Poco F1 Full Review: The Hero We Deserve But.. I really miss the Google Nexus smartphone series. They were affordable, durable, and snappy for what it was worth back then. For under 40,000 INR, we were able to get the best Android experience with the fastest Android updates for at least 2 years. The iconic Nexus 5, the Nexus 6, Nexus 5X, and the Nexus 6P were the best of the lot – offering the latest and greatest hardware along with the purest Android experience. In contrast, Google Pixel is now way too pricey. Yes, of course, being a high-end smartphone – we cannot expect a lower price tag, but Google Nexus was really something back in the day. Similarly, Nokia 8.1 is a great alternative to Google Pixel devices if you want the purest Android experience while having the perk of getting faster Android updates. 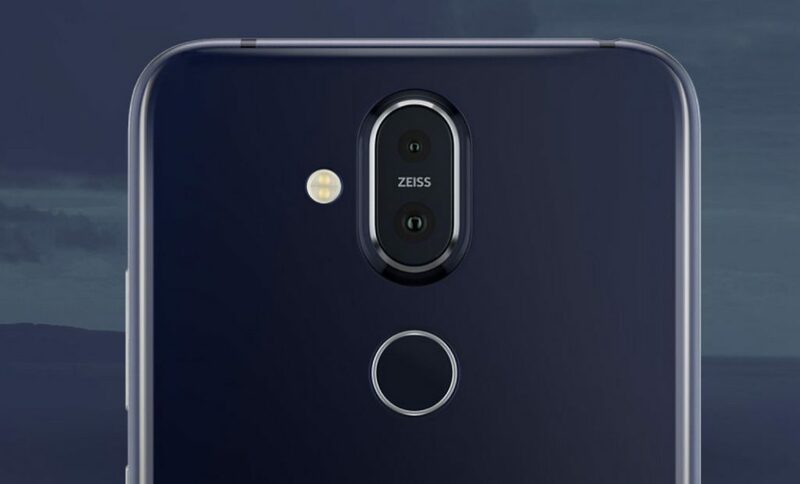 The Nokia 8.1 sports a dual-lens camera setup 12 MP + 13 MP with ZEISS optics. It also supports OIS (Optical Image Stabilization). Definitely, an impressive camera – but could get better with software updates – or if you end up using Gcam (I haven’t tried that!). The selfie camera is a 20 MP shooter which may not be the best selfie camera there is – but good enough. The battery life is decent and you should note that it comes with a fast charger out of the box – so it takes a lot less time to charge it up. If you are an Android enthusiast looking for a device that also performs good enough, this is for you. The Nokia 8.1 is really a good option even though the price seems to be a bit higher. Honestly, there’s no alternative to it which offers the purest Android experience in that price range. If you want the latest and greatest tech on board (like on screen fingerprint scanner, water drop notch, triple camera, Qualcomm’s flagship chipset and so on..) for the price you pay – Nokia 8.1 won’t be the best deal for you. So, you need to decide whether you just want a smooth Android experience or a flashy phone with the latest processor and fancy features. Mi Redmi GO at 4,499 INR: Is it the best cheapest Android smartphone? Previous articleMi Redmi Go at Rs 4,499: Is It Really Good? Next article‘Firefox Send’ for File Sharing: Why Should You Use It? GG! Nice One Echo Main!